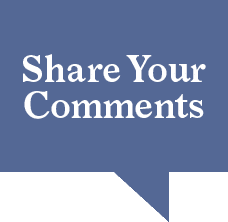 A reader recently asked me, “How do you find stories for Bearleader?” I replied that usually we do lots of research, keep our ears open, ask people we know that are in-the-know and then do more research. 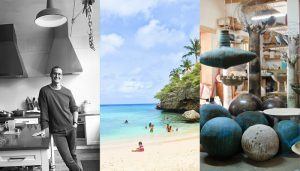 But sometimes a story just drops in your lap. That’s how this story showed up, literally on our doorstep. When the windows of our London flat are open, I occasionally hear the short ring of a bicycle bell somewhere nearby. This is not especially unusual as lots of bicycles ride along our road. But it seemed to me curious that riders would so consistently ring their bells when passing our house and I felt compelled to investigate further. 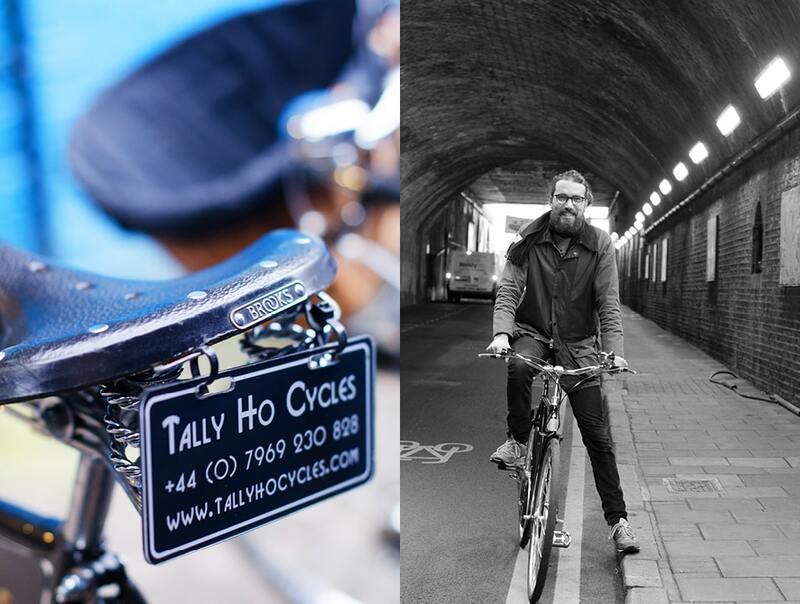 … I met Jack Harris, owner of Tally Ho bike tours, and booked an excursion for the Bearleader. Stepping out of our front gate I caught a glimpse of a line of beautiful black bikes, zipping by, a gentleman in tweed leading the group and coaxing the group on with the ring of his bell. The bikes had the words “Tally Ho” painted on their frames. For those not up to speed on their English country terminology, “Tally Ho” is a term used to confirm a fox sighting during the hunt, and in more contemporary situations, something you say when pointing out or spotting a target. 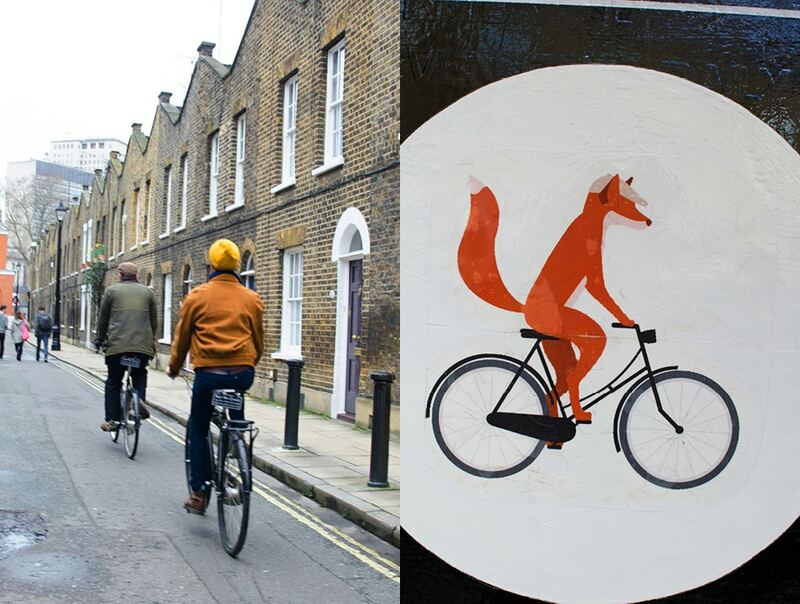 A little further down the road sat a sign painted with a fox riding a bicycle. Tally Ho! 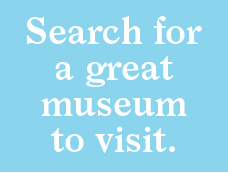 I exclaimed (not really). Putting two and two together I headed over to the sign where I met Jack Harris, owner of Tally Ho bike tours, and booked an excursion for the Bearleader. Historian Tom Weir was our tour guide. A young, enthusiastic student of history, Tom’s area of interest is sports. 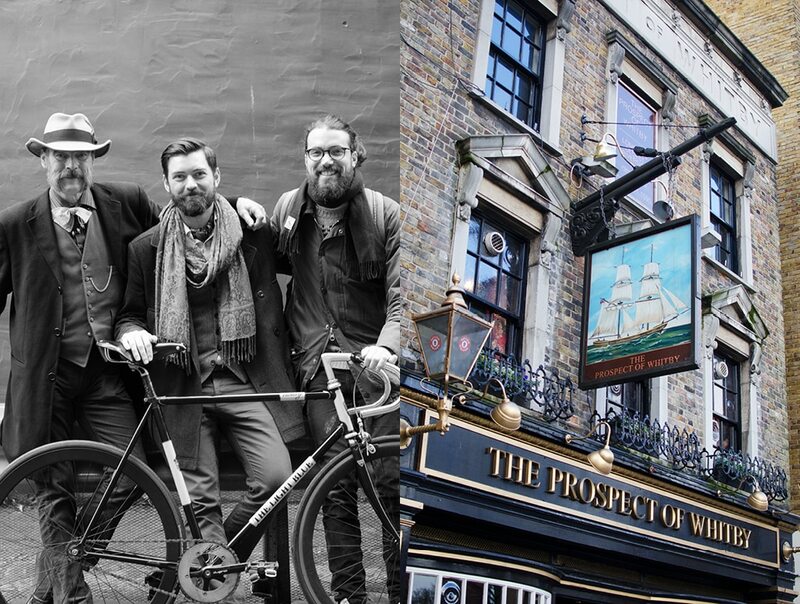 The meeting place for Tally Ho bike tours is the Walrus Pub at the corner of Lower Marsh and Westminster bridge road. As the departure time approached, a small but diverse group began to assemble, a family from Australia, a young Spanish student and me. 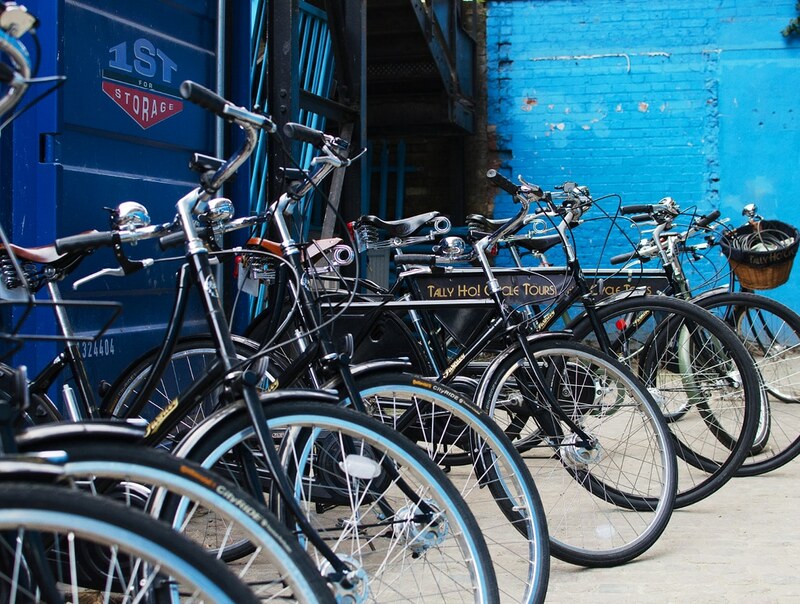 Tom gave us the option to choose from amongst their fleet of shiny black Pashley bikes, outfitted with Tally Ho baskets to stow our belongings. 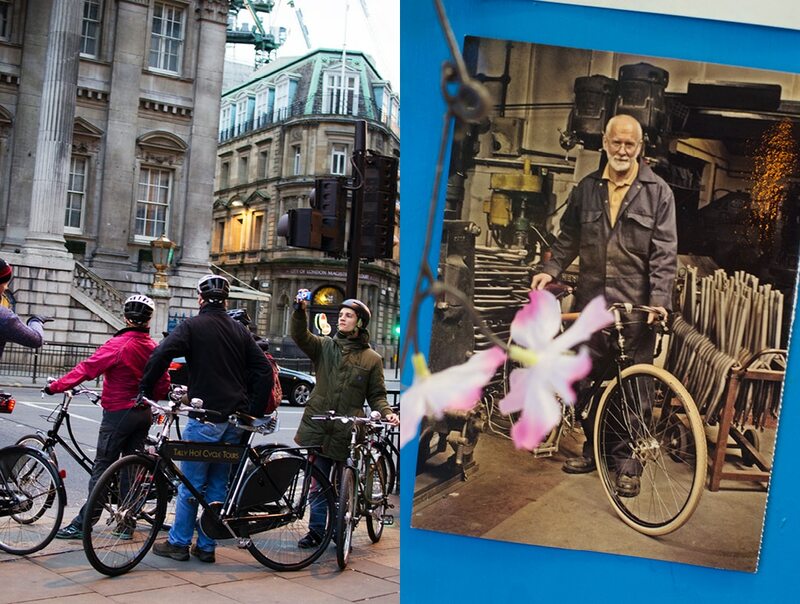 Pashley bikes are a story in themselves. 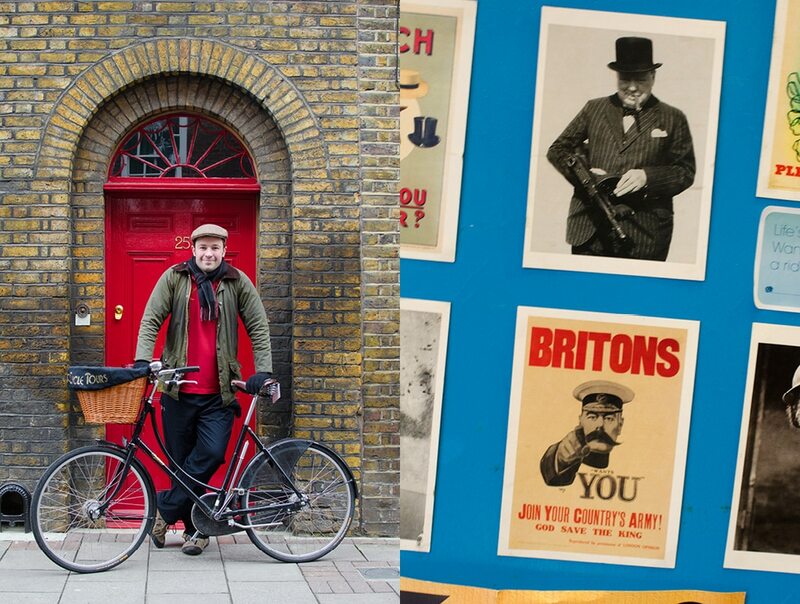 The company was founded by William “Rath” Pashley in 1926 to manufacture hand-built bikes in Stratford-upon-Avon. 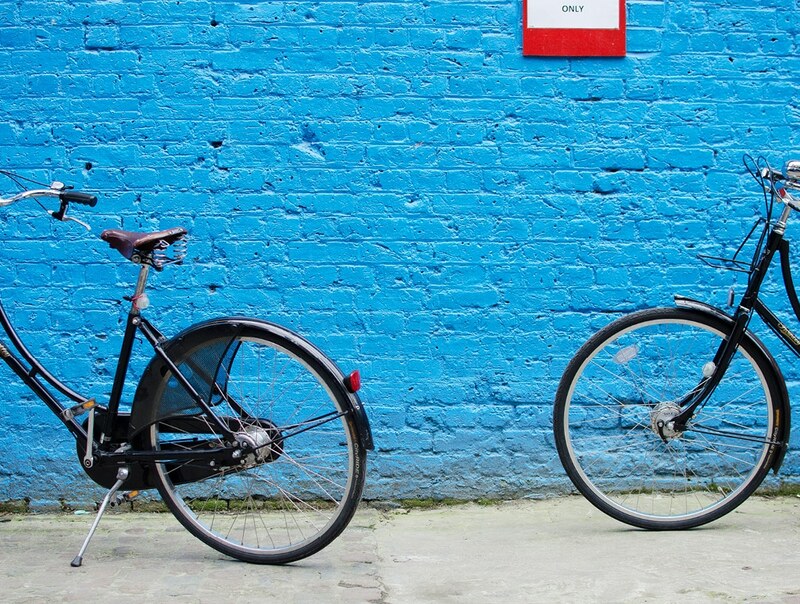 England used to have the most bike manufacturers in the world but most have gone out of business or moved their production to factories overseas. Never bowing to pressure to use cheaper overseas labor, Pashley bikes have remained made in England since the company’s founding. Riding these historic, smooth running, fine English bikes makes the tour all the more authentic. Once we are all settled on our chosen bikes, Tom gives us a quick rundown on safety and with a ring of his bell we are off. 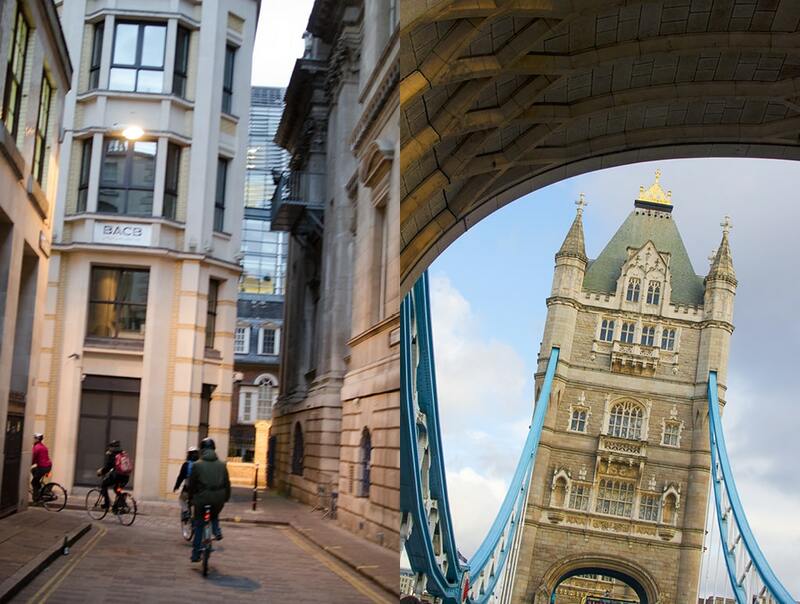 Cycling in Central London is a breeze. The terrain is generally flat with no hills of note to climb. And since our group was small, we easily zipped along London’s back roads under Tom’s ever watchful eye. 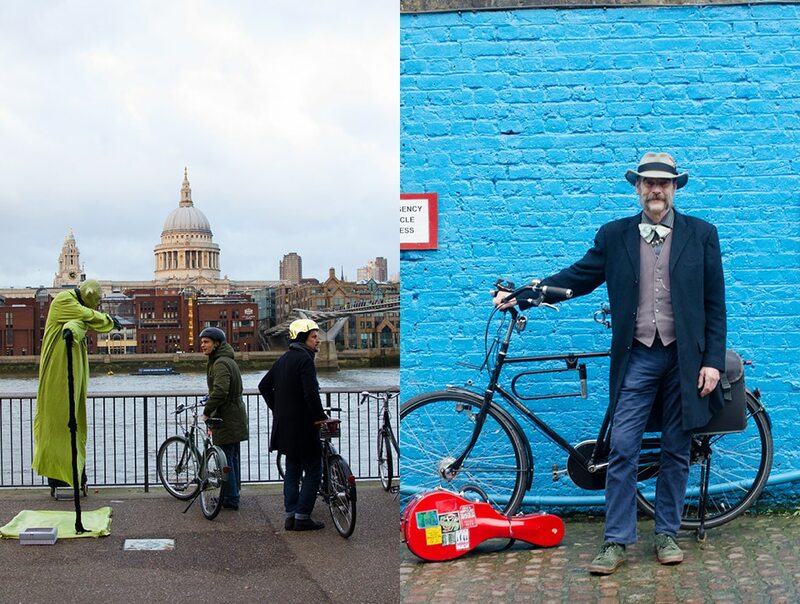 We stopped in front of the Tate Modern, parked our bikes and gathered around Tom to hear about the history of the building, formerly a London power plant, with St Paul’s on the opposite side of the Thames. 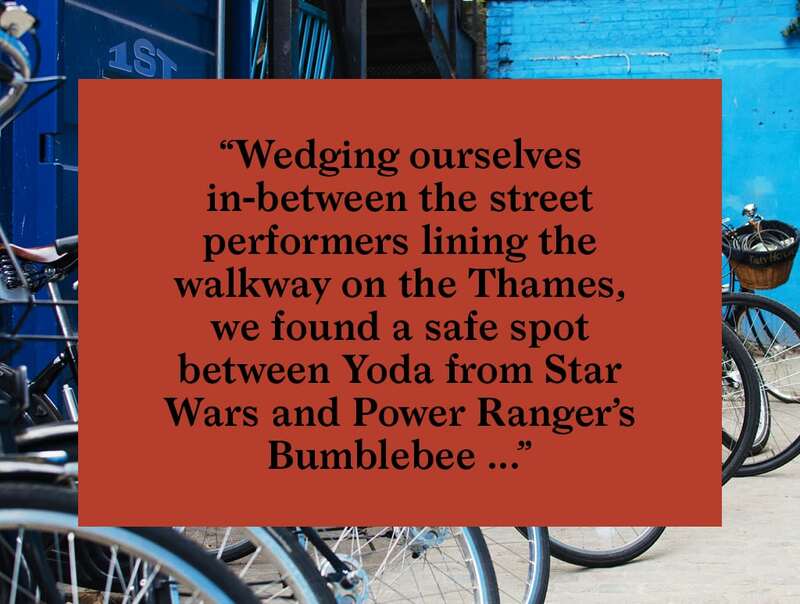 Wedging ourselves in-between the street performers lining the walkway on the Thames, we found a safe spot between Yoda from Star Wars and Power Ranger’s Bumblebee. As Tom gave us the rundown on the area, I noticed Yoda gesturing wildly at one of our group. I guess we were encroaching on his area and Yoda was not pleased. Moving a little closer I was able to overhear Yoda hilariously telling our Spanish exchange student in a thick South-London accent to move along. Luckily our student’s English was not so good, so being somewhat oblivious to what Yoda was saying, he was not offended. 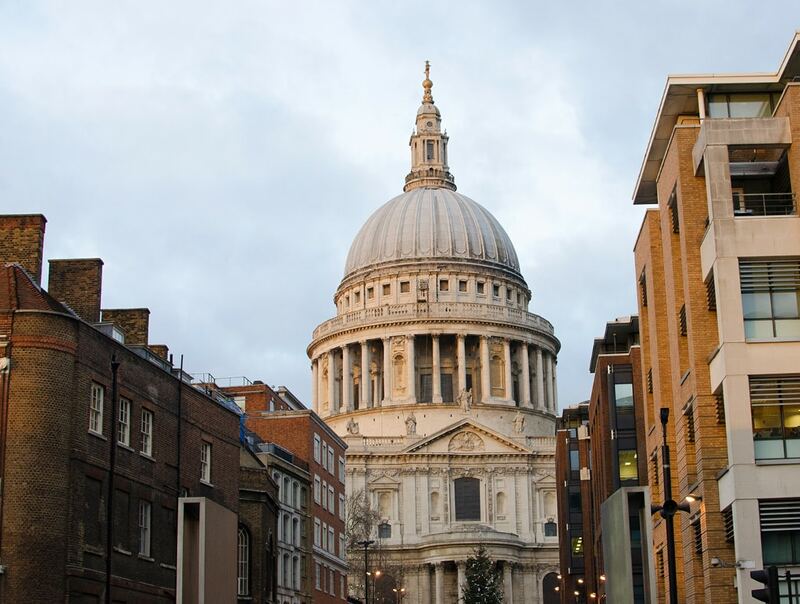 We moved on over the Millennium Bridge through the City of London, crisscrossing the maze of the streets which constitute the oldest part of the city. 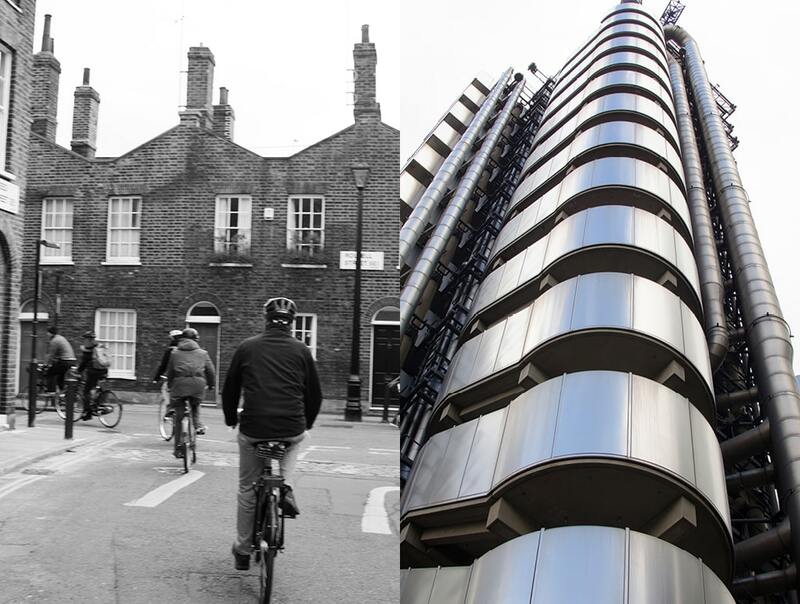 Passing by the newer buildings of London’s famous Square Mile, we stopped off at the Lloyds of London headquarters and the Gherkin building, by famous London architects Richard Rogers and Norman Foster, respectively. 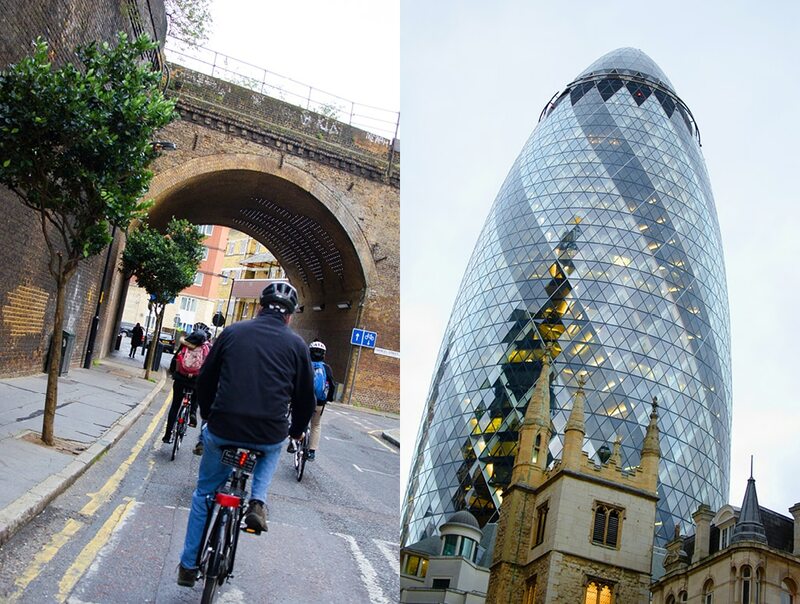 At the edge of the Square Mile we merged with one of London’s bright blue Cycle Super highways for the short trip to the East London Docklands. 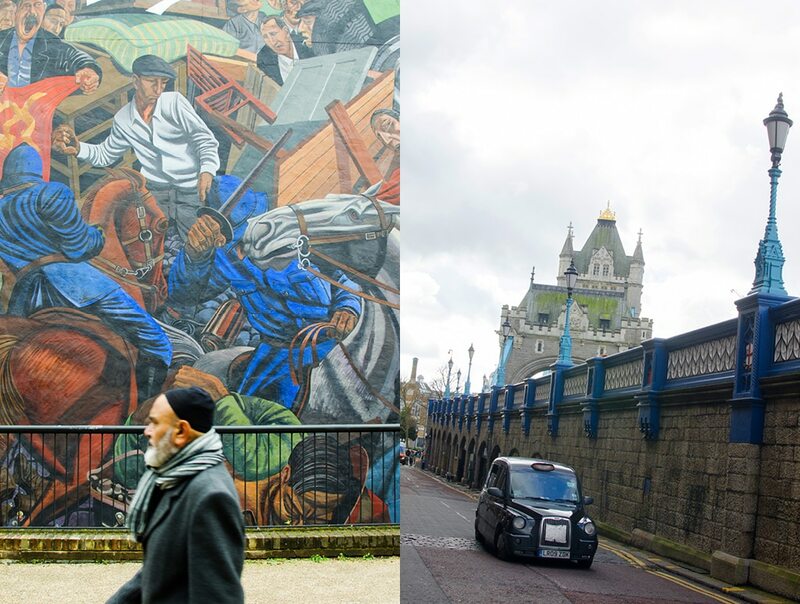 Next we arrived at the Cable Street Mural which commemorates an iconic moment in London’s history, “The Battle of Cable Street”. 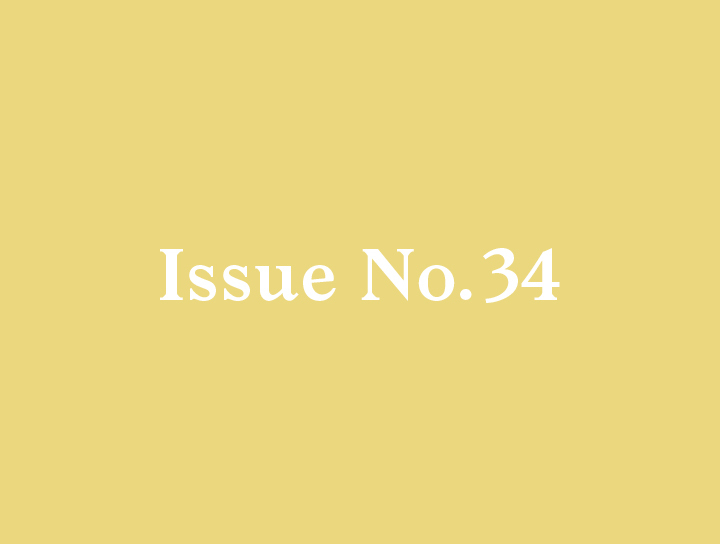 Tom explained to us that on the night of October 4th, 1936, the people of this East London neighborhood rallied to Cable Street and forced back the march of Fascist, Walter Mosely and his group, the Blackshirts, all the while shouting, “They shall not pass”. In the aftermath of Mosely’s defeat by the residents of East London, the Public Order Act 1936 was passed, requiring police consent for all political marches and forbidding the wearing of political uniforms in public. We then wound our way through the canals of the docklands, eventually arriving at one of the oldest pubs in London, the Prospect of Whitby. Dating back to 1520, the pub still has the original 400-year-old floor. 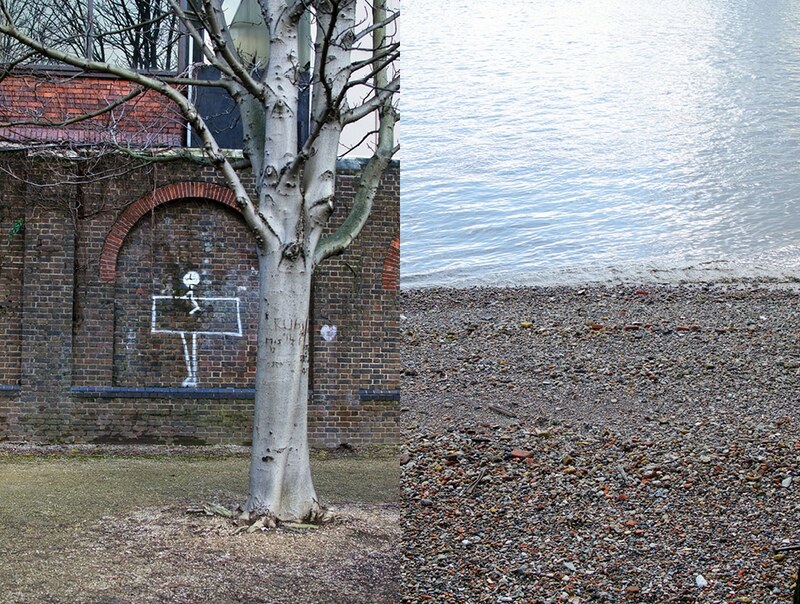 If the tide is low when you arrive be sure to have a look at the hangman’s noose on the Thames side of the pub. The execution of pirates by hanging, starting in the 15th century, was performed at a place called Execution Dock. 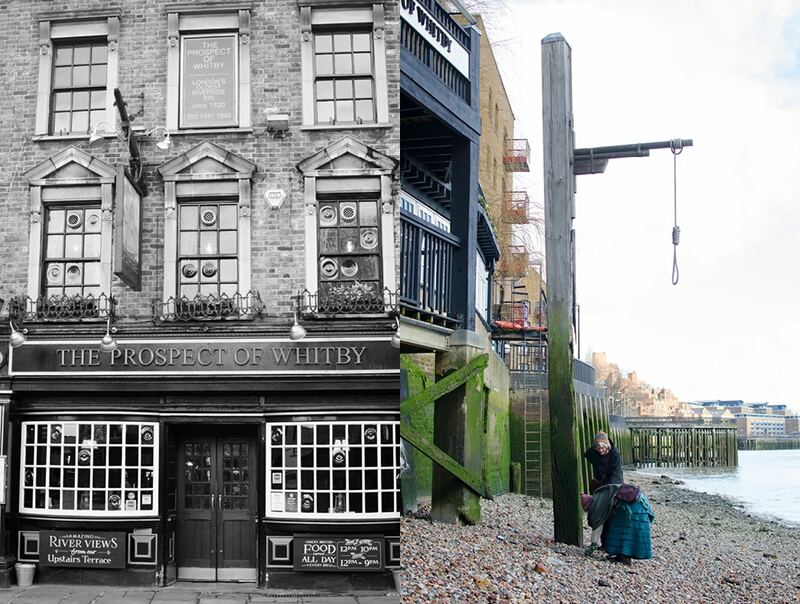 While the exact location of Execution Dock has been lost, one of the places where it was thought to have been is here at the back of the Prospect of Whitby. Convicted pirates were hung on a short rope and left in place to be washed by three tides. The worst were then tarred and hung in an iron cage for all to see. Arguably the most famous pirate executed here was Captain Kidd, inspiration for the book Treasure Island. Captain Kidd was so notorious that he was displayed on the Thames riverbank for more than 20 years as a warning to other would-be pirates. Refreshed and rested we continued our journey towards Tower Bridge. Riding across this famous bridge is a real thrill, much better than sharing the crowded walkway. On the home stretch now, we slowly wound our way back along the back streets of the Southbank towards Westminster Bridge Road. It was just getting dark and on cue, London lit up for our tour’s finale. 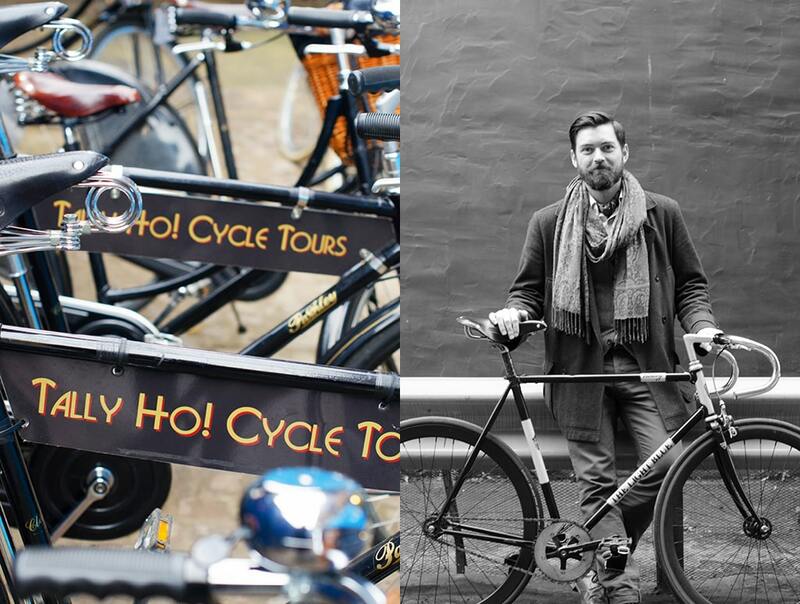 You can choose online from several tours that Tally Ho bike tours offers, or book a private tour that can be customized to your interests. 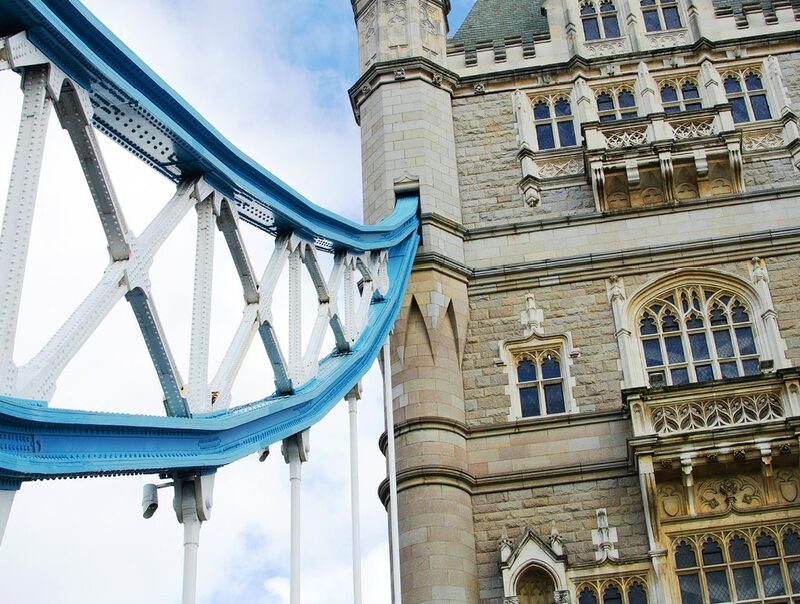 If it’s your first time in London, I would suggest the London Landmark Tour. 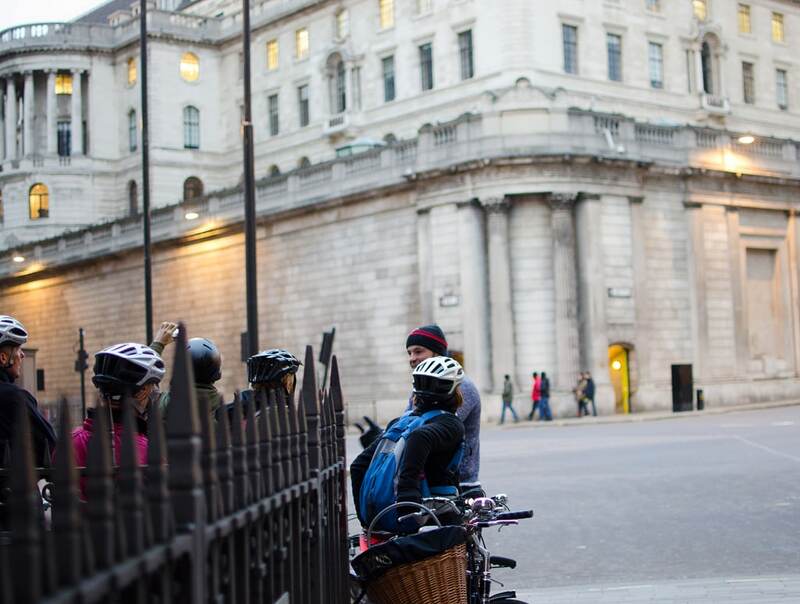 It is the most popular of Tally Ho bike tours’, and much more interesting to stop and stand in front of each of London’s iconic buildings and sights and learn their history, than just zooming by on a double decker bus. 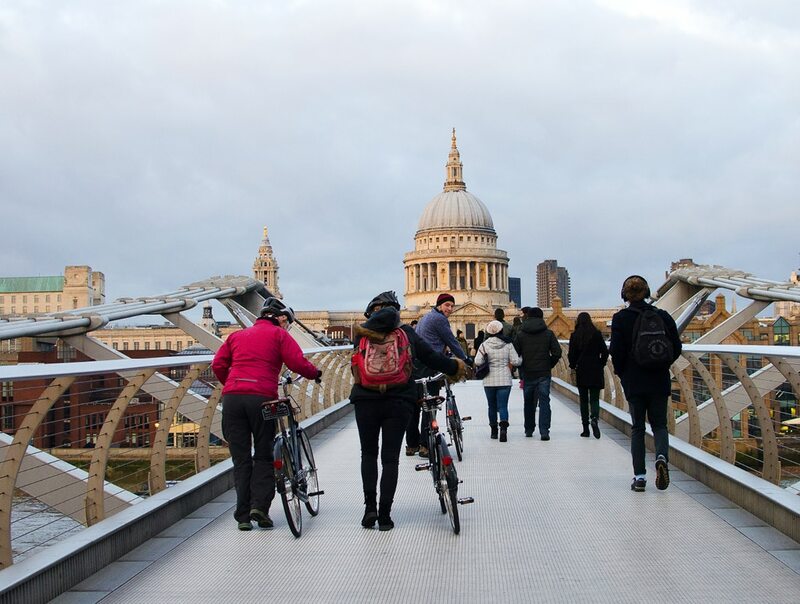 Planning a bike tour in London? Here is the current weather and what to expect for the next few days.